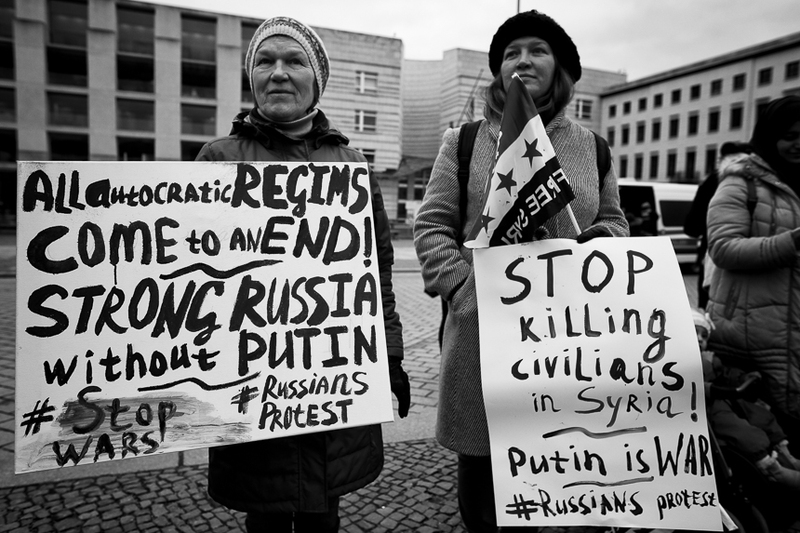 Syrians, among them many refugees, protested in Berlin against the regime of Syrian dictator Bashar al-Assad and his allies Russia and iran. 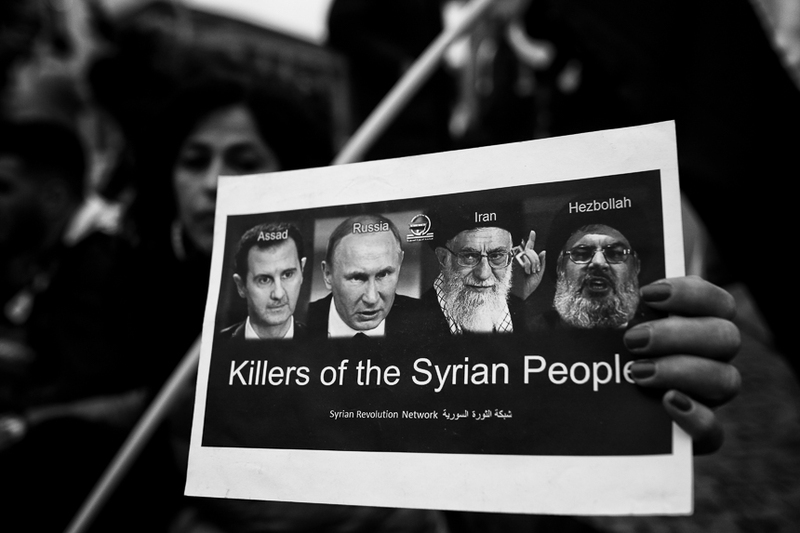 They condemned the sieges of opposition held areas by forces of the regime and called the usage of hunger against civilians a war crime. 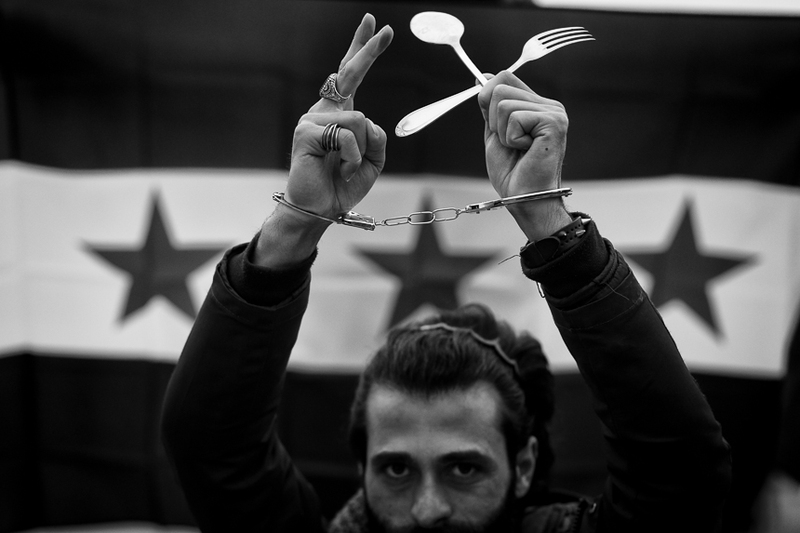 The participants knocked with forks and spoons on dishes to symbolize the hunger of the Syrian people. 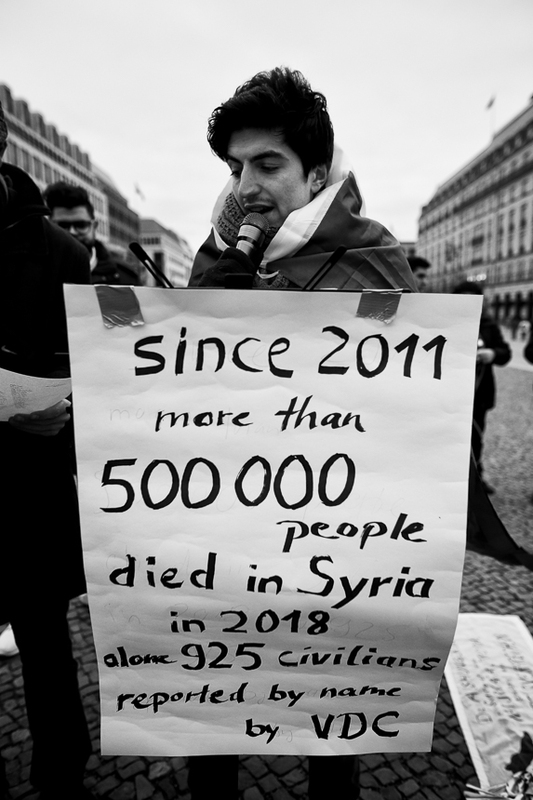 Here you can find more pictures from this protest and activities by Syrians in Berlin in the past until 2011: Flickr Album "Solidarity with Syria".